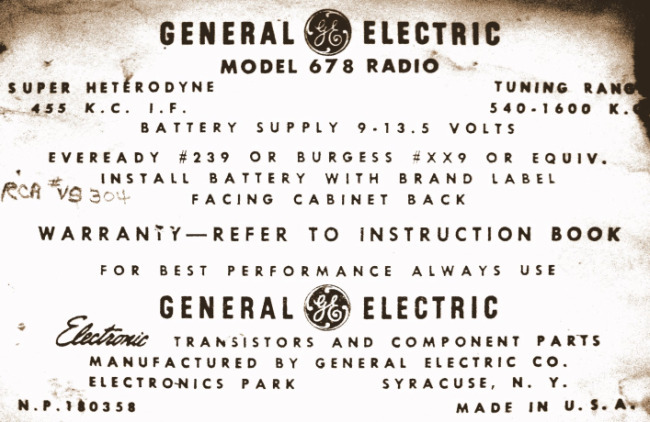 This classic General Electric 678 was manufactured in the USA in 1955. 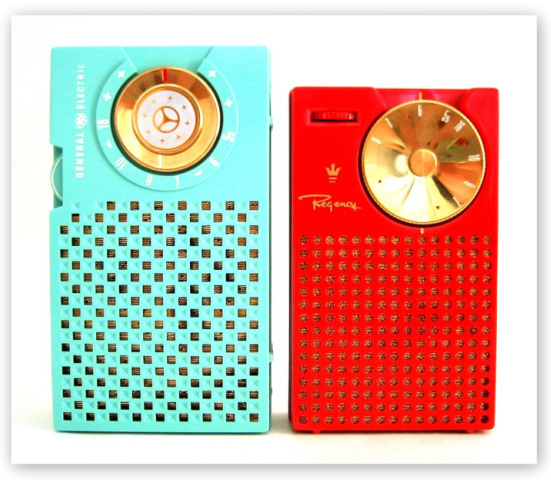 It is GE’s first model and one of the earliest transistor radios made. General Electric manufactured some real clunkers after this 678 with very few coming close to it in terms of style and elegance. 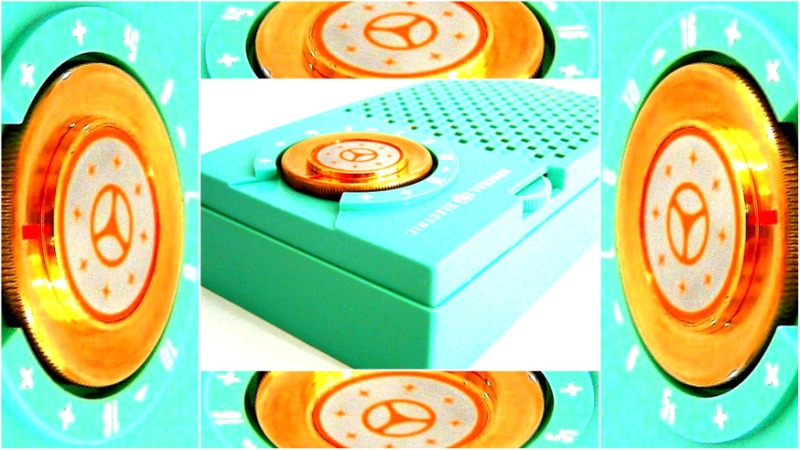 It features a rich gold tuning dial with a look-alike Mercedes Benz badge at its center circled by stars. The turquoise color cabinet just screams 1950’s! 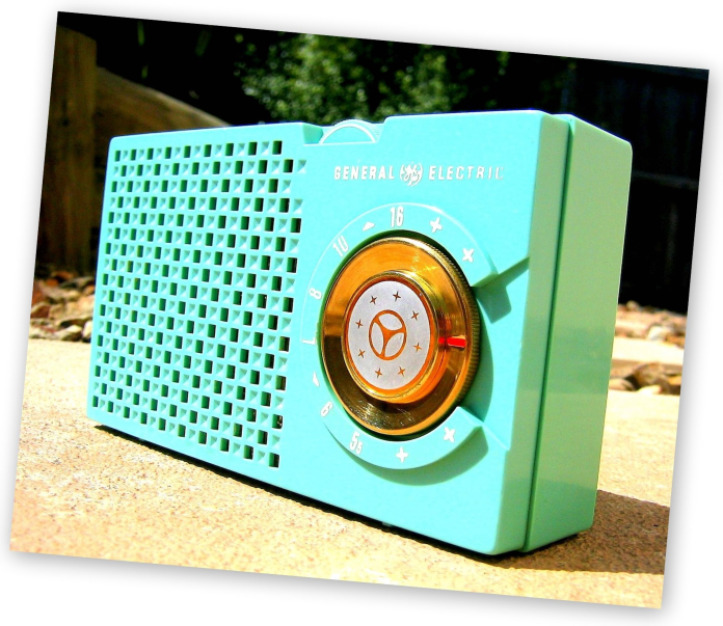 General Electric produced this radio in four colors with a different model number denoting variations in cabinet color. Keep a look out for the other three colors, Ivory 676, Red 677 and Black 675. 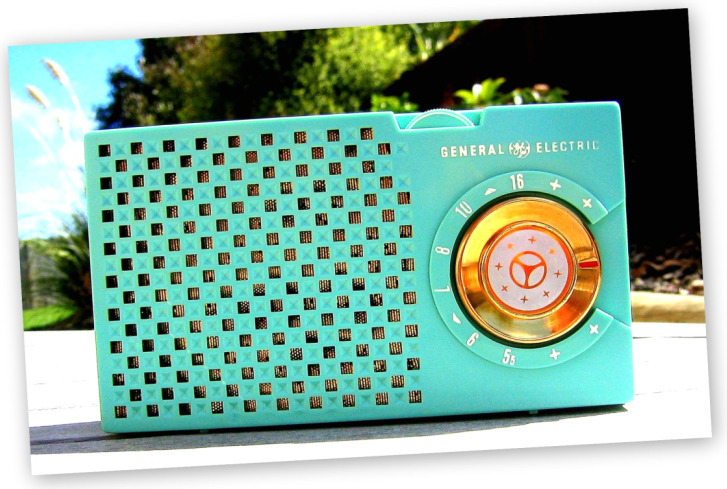 The ‘General Electric’ logo on these radios is not particularly robust and is often found completely worn off. 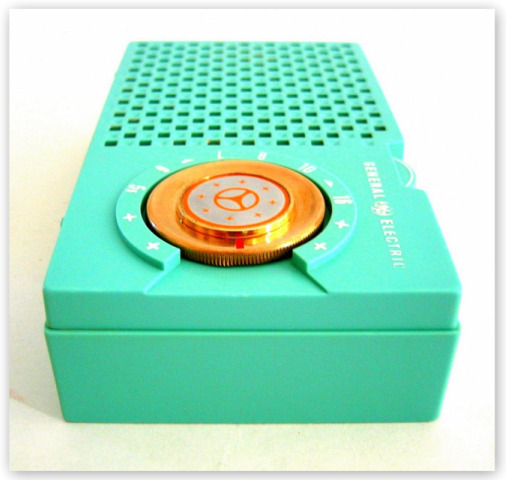 When placed on its end this GE 678 looks suspiciously like the world’s first transistor radio, the Regency TR-1. It is only slightly larger than a TR-1 and like Regency‘s first this GE has no coin slot. See a 1956 ad for this radio mimicking the TR-1. 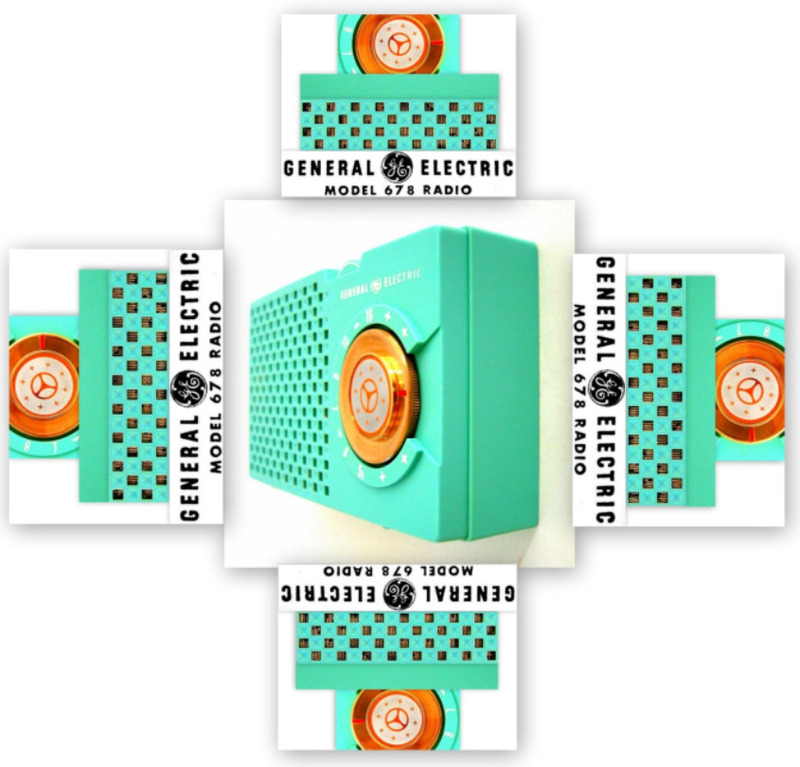 General Electric (GE) evolved from Thomas Edison's home laboratory set up in 1876. In 1919 GE founded the Radio Corporation of America (RCA). Today General Electric is the Worlds second largest company with such diverse interests as the manufacture of aircraft engines and the NBC Television Network. This General Electric 678 uses four transistors and an odd 13.5V battery.